The Business Monitor and Factory Monitor apps have been named a USGlass Magazine 2011 Product of the Year Award winner. The Business Monitor and Factory Monitor apps from FeneTech Inc. won the 2011 Product of the Year Award in the software category. The product was originally featured in the September 2011 issue of USGlass Magazine. 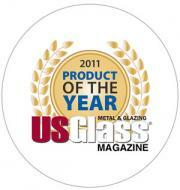 Product of the Year Award winners are determined by readers of USGlass Magazine. Subscribers in the retail and contract glazing category are asked to choose from among products featured in the magazine throughout 2011 for the one they feel is the most significant in a given product category, and winners are announced annually in December. The Business Monitor and Factory Monitor apps provide complete visibility of business operations, accessible anytime and anywhere. For more information, visit www.fenetech.com. USGlass has the largest circulation of any glass magazine in the world and is the official publication of the Glass Association of North America (GANA). It is the only monthly glass industry magazine based in the United States.